Military vehicles during an unscheduled combat readiness drill in Russia's Southern Military District. 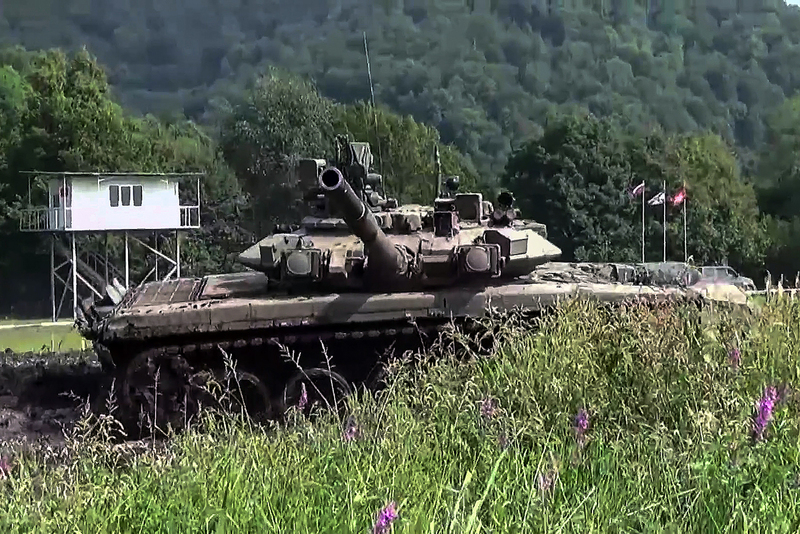 The Russian Defense Ministry released a new video from snap military drills. Russian military officials have posted a video of the Southern Military District's ground and air forces. The video shows MT-LB light armored vehicles on the march, live firing by T-72 tank units, as well as flights of Su-30M2 and Su-27SM and Su-30SM aircraft. The large-scale combat readiness exercises began in Russia by order of the president on Aug. 25 and will continue until Aug. 31. Up to 150,000 troops were put on full alert, according to experts interviewed by RBTH. In addition to a check of the troops, the state's crisis management system is being reviewed. Command is assessing the military offices responsible for mobilizing reservists, fine-tuning cities' alert systems, evaluating how the Central Bank functions in wartime, and much more.